Imperial introduces the Clean Power Programme, a Professional Certificate Programme about the worldwide shift to a low-carbon energy system. 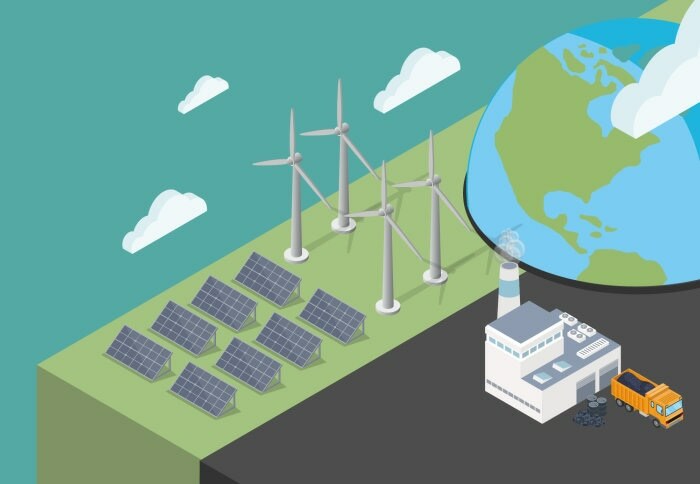 The Clean Power Programme, which was developed by the Grantham Institute – Climate Change and the Environment and the Children’s Investment Fund Foundation (CIFF), comprises of three Massive Open Online Courses (MOOCs) that can be accessed from anywhere in the world and is freely available on edX. Those who finish the courses can receive a Professional Certificate by paying a small fee. The courses—offered by Imperial academics comprising Professor Joanna Haigh, Dr Kris Murray, Professor Richard Green, Dr Ajay Gambhir, and Dr Clementine Chambon—concentrate on why the world promptly must switch to a cleaner power sector, how policy and regulation can develop a “pro-renewables” environment, and how to integrate renewable energy into electricity grids. Renewable energy offers a way to combat climate change, as well as being cheaper, healthier and better for the economy than outdated fossil fuel technologies. For policymakers and business people, our courses offer the most up-to-date knowledge about renewable energy technologies, explore the benefits and opportunities that clean power offers, and present strategies to promote its use. Because every country has unique challenges, our courses will build a catalog of case studies to inspire new thinking and help people make progress towards the clean power revolution. Professor Richard Green, Professor of Sustainable Energy Business at Imperial College Business School, describes why MOOCs were selected as a format for offering the courses. Cutting edge digital platforms open up our interactive courses to people all around the world. Anyone can study the course information for free, and we are hoping that edX’s Professional Certification will be the new accreditation standard for decision-makers and leaders working on clean energy in government, civil society, policy and business. The platform’s discussion boards offer opportunities for participants to connect in an actively engaged global community, seek advice on overcoming barriers that stand in the way of progress and share insights and success stories from their regions. The Clean Power Programme is part of the edX online platform, which includes nine million registered candidates and controls over 900 online courses. A number of dominant personalities in the climate and environment sphere feature in the course, including Christiana Figueres, Former Executive Secretary of the UN Framework Convention on Climate Change, and Dr Fatih Birol, Executive Director of the International Energy Agency. We need nothing short of a paradigm shift to avoid the worst effects of climate change, and these courses are a significant contribution towards giving decision makers confidence that low-carbon power sector transformation is feasible, cost-effective, and in the best interests of each country. There is a general lack of understanding about how to integrate clean power into energy systems, and these courses will translate knowledge into action for current and future generations. The first course—Why move towards cleaner power—investigates the benefits and possibilities of shifting to clean power. The second one—Creating a pro-renewables environment—focuses on how policies and incentives can promote clean power. The third—Incorporating Renewable Energy in Electricity Grids—deals with the challenge of increasing the number of renewable electricity sources in the grid while still attaining a consistent energy supply. Subsequent to a pilot in December, the program is currently officially launched with enhancements, such as new videos and case study material from various parts of the world. It takes around 2–5 hours per week for each course and it extends over five to six weeks.